Chris, the sales manager, answered the email I sent within hours and told me he would meet with me when I arrived if I needed to get into any special areas for photos. He offered to make my reservations at the Quapaw Bathhouse and had the confirmation waiting for me at the front desk when I checked in. The Waters Hotel is partnered with the Quapaw Bathhouse and all guests get 20% off any spa services there. He even called the room later to make sure we were settled in just fine. Parking staff was fantastic. Ashley, the valet manager made sure our truck and airstream had space to pull in, arranged further cars to ensure we’d have space to pull out, and even allowed my husband to park his own rig (because it’s his baby and he didn’t want anyone else driving it). We could even see the Airstream from our room. It wasn’t just the managers that were professional and welcoming. The whole staff from the valet drivers, front desk clerks, Avenue bar, to the cleaning staff were a delight. The Avenue Restaurant, attached to the hotel, was PHENOMENAL. 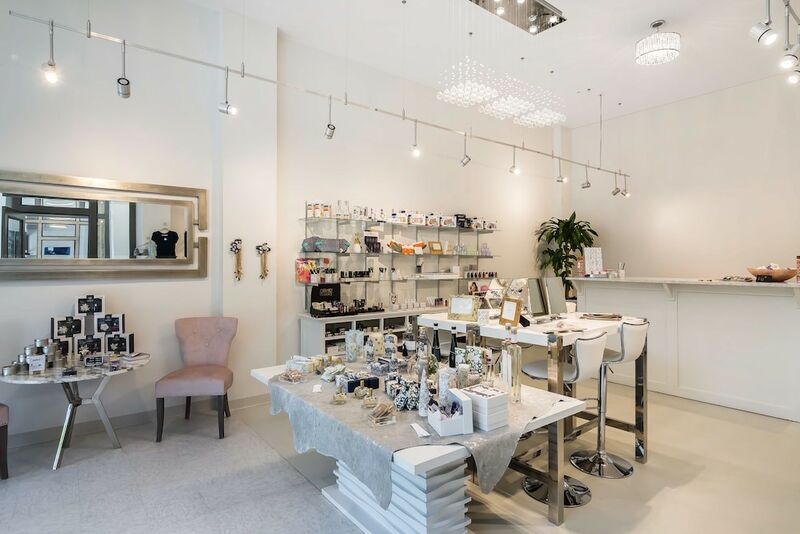 There is even a boutique attached to the hotel called Blushed Beauty that had the cutest beauty products and a fantastic, attentive, owner on hand to answer all your questions and help you sample the items. We stayed in a City View corner room that had a great panoramic view of Bathhouse Row. All the rooms are filled with art and products from local artists and companies to further immerse guests in the flavor and charm of Hot Springs. We were there when the leaves were changing so that added a great layer of color to the typically green spaces around the historic bathhouses. Before I even realized how great the views were I was impressed by the clean lines and detailed touches in the room itself. We had a king size bed flanked by plenty of outlets and USB ports on both nightstands for our phones and tablets, which is always a struggle. There was a Keurig coffee maker with a selection of pods, a mini-fridge, flat screen tv, plush chair, and full-length mirror (all things I love to have in my hotel rooms). On top of that the bathroom has a spacious shower with a fantastic rain-like shower head, a separate lighted makeup mirror, locally handmade soap, and plant-based lotion made without parabens. One more time, I have to say that the staff, views, and room were great! I wholeheartedly recommend The Waters Hotel for your stay in Hot Springs, Arkansas. Being a foodie with a house in New Orleans for the past 10 years has been fabulous. When we decided to visit Hot Springs we were focused on the thermal waters and didn’t expect to find such a fantastic restaurant in our hotel on Bathhouse Row. 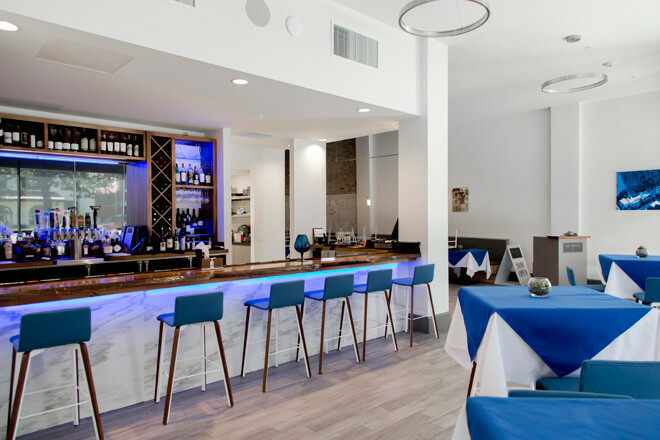 The Avenue is a full-service restaurant and a lounge which offers southern artisan- style cuisine using locally-sourced food. It was so good we ate there two nights in a row. The first night we had the pork belly wontons with sambal sauce, cold smoked filet, shrimp & grits, and a couple wines for their fantastic selection. They do have vegetarian and vegan selections and their chef is committed to excellence so I wouldn’t hesitate to try anything on the menus. Blushed Beauty Boutique is onsite to enhance your experience for the ultimate in convenience. They have a makeup artist, high-quality beauty products, cute gifts and handy items like hair accessories and lashes. 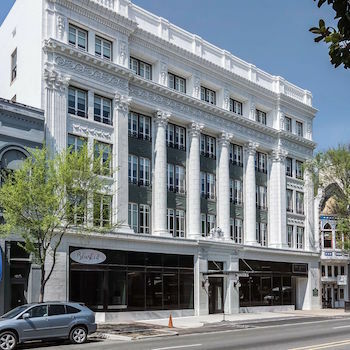 So, when you stay at The Waters Hotel you are just steps away from the major attractions of Hot Springs National Park; the thermal water bathhouses! The National Park Visitor’s Center in Fordyce Bathhouse is just across the street to the right. Next to that are the Quawpaw Bathhouse and Buckstaff Bathhouse. You can be in any of these places within 20 seconds of walking out of the hotel front door. The Quapaw Bathhouse & Spa is partnered with The Waters Hotel and you received 20% off of the services there. It’s undergone a recent renovation but has retained the feel of a historical thermal bath. There are four pools that you can rotate in and out of range from 94-104 degrees Fahrenheit. There is a cafe in the pool area so you can have a bite to eat while taking a break from the water. We also booked a private Microsilk bubble bath with Kneipp essential oils. Next time we will visit the steam cave and also book massages. Be sure to book well in advance because most services fill up 2 weeks ahead of time. The Buckstaff Bathhouse is more traditional with a series of services that mirror what was done at the turn of the century. There are no cell phones or cameras allowed. It’s an experience that I am glad to have had, although Quapaw is more my style.